Alot of interesting things happened last night during the tender, non-tender deadline at midnight. Players got that realistic nudge of if they are considered a positive piece of the roster puzzle in 2009, or if they are totally expendable to the franchise. Some names came across the board that you thought would be offered a contract, but ended up on the scrap heap with the rest of them. 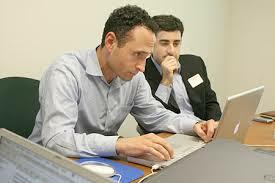 There were a few names circulating who teams were trying frantically to try and trade before midnight to get some kind of value off the player before he left his old teams clutchs. Up until the witching hour, the Orioles tried to trade Daniel Cabrera and in the same breath sign Lance Cromier to a reduced salary. Neither player was offered a contract in the end, and that leaves the Orioles with an interesting starting pitching arrangement as of midnight. As of right now, only Jeremy Guthrie is penciled in the O’s rotation in 2009, but they do have options in the minor league system. But some other names popped up on the radar after midnight that were suppose to be key pieces in their teams puzzles, but were discarded like old soda cups at the stadium when the clock struck midnight. Some have already re-signed with their old clubs, while a majority of the non-tenders are re-evaluating their careers and taking a breath before jumping back into the fire. Philadelphia Philles Pitcher Scott Mathieson and Cincinnati Reds outfielder Norris Hopper resigned with their old squads during the night hours under a minor league contract. What was so wild about the Hopper non-tender is that it left the Reds, who also had their Fan Fest last night, with only 2 outfielders on their roster until Hopper inked his name on a contract. But some of the veterans that were left off of rosters last night will find solace today and will not be out of work long. Several have had discussion already with clubs and it might be a minimal amount of time before they are signed, sealed and delivered to their new bosses’. But some names last night did not make sense on the syrface. Several of the names on the non-tendered list had great seasons and seemed to be in the plans before December 12th. Take former Astro Ty Wiggington, not only is he a super utility guy who can seriously play any position under the sun, but he left his old team with decisions to make no at third base. Wiggington was the Astros strongest candidate at third, and no it will escalade into a full blown battle for a successor at the position in the Spring. The 31 year-old hit a strong .285/.350/.526 in 429 plate appearances. He probably doesn’t mind reaching free agency early in a weak third baseman market. 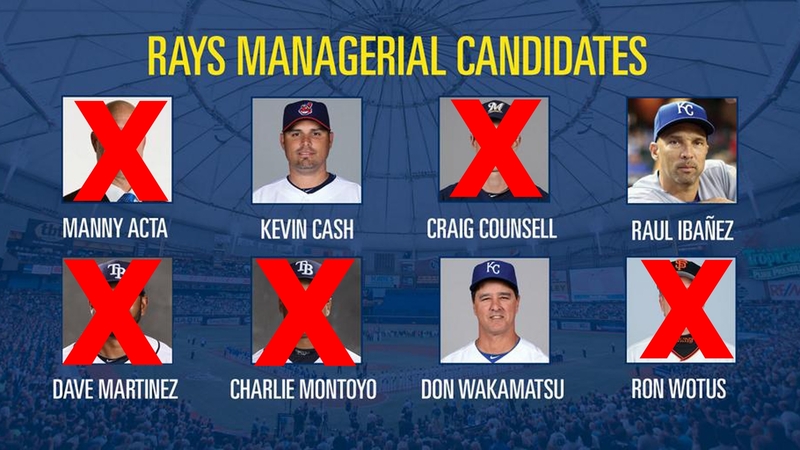 The Indians and Twins still have vacancies. Then you have the relievers who seemd to put up excellent numbers and be on the teams’ radars for 2009, and got put out to pasture fast and without remorse. 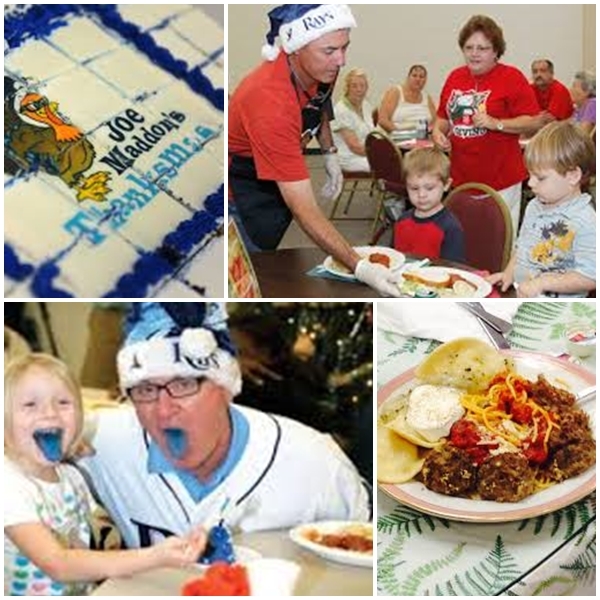 Such was the case of Florida Marlins’ reliever, Joe Nelson. Wow…a 2.00 ERA still gets you non-tendered in Broward County. He’s not effective as a close down reliever good, but he had a huge strikeout rate and is definitely a useful reliever in early innings. The you have the case for my favorite whipping boy of 2009, Daniel Cabrera had been in the Oriole system for 10 years before finally getting the heave ho last night. Let’s think about that again…………10 years. 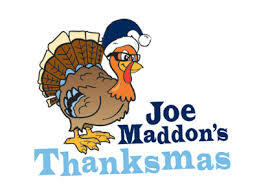 This guy has always been the ackwardly potent Orioles pitcher to face during a series. But his Dr Jeckle and Mr Hyde pitching style might have finally out stayed its welcome in Camden Yards. Many a hitter will tell you about pitches grazing the strikezone like a surgeon, then the next one is coming at your head without a want or reason. At times Cabrera posted very big strikeout numbers and had impressive groundball rates. With a fresh start, who knows. Now here is a non-tender that made sense due to a earlier trade, but why do you give up speed and youth and keep an older outfield that will get older as the year progresses in 2009. I truly feel that former Kansas City Royal Joey Gathright was a victim of the inside rebuilding of the team, but they are giving no consideration to speed and upgrades. 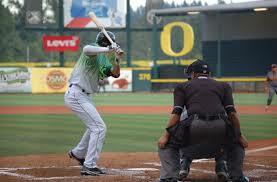 Gathright is one of the fastest men in baseball, and that can wreck havoc on a pitching staff if used correctly. Gathright will have a uniform in 2009, and will be dirt and clay-stained by the 5th inning after stealing a few bases. 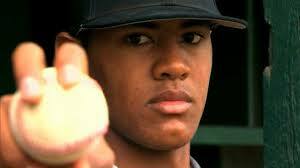 Then there is the case of former Colorado Rockies outfielder, Willy Taveras. Like Gathright, Taveras is a speed demon, but his recent plus/minus ratings in center field are poor. And you can’t steal first base. And there is the mystery still humming around on why he was not considered healthy enough to complete a trade with the Mets for Tim Redding earlier in the week. This one might take a few months to really get to the heart of the problem, then we can move on and let Willy play baseball again…somewhere. This next one is pretty personal to me, because I have known this guy for some time and know the BS and the challenges he has faced in 2008. 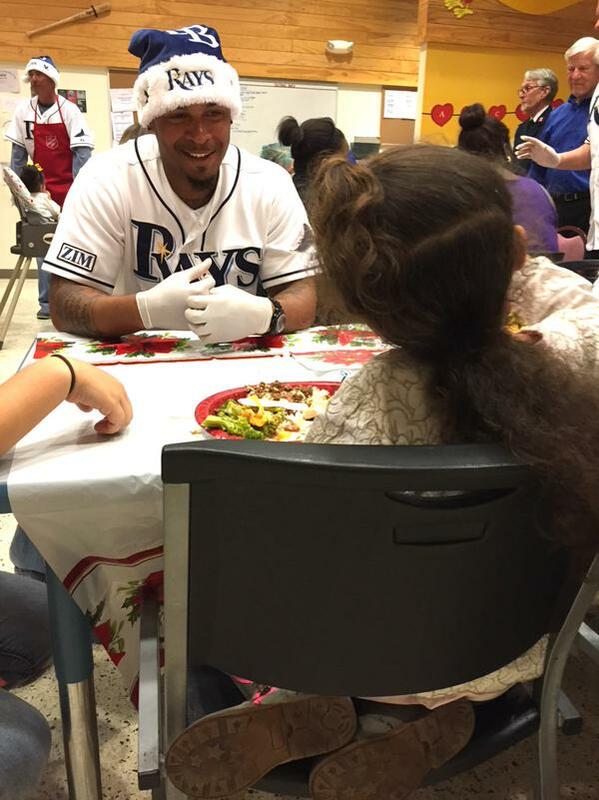 His former team the Tampa Bay Rays considered him a valuable member of the roster before the first half break in the season. From that moment on, Jonny Gomes was relegated to the bench and had minimum chances and outfield starts. Gomes is the type of player who needs to play every day. He lives and breathes off the emotions and the enrgies of the game. To put him on the bench without a sense of the games pace, you take him mentally and emotionally out of the contest. Gomes got pop, and destroyed lefties outside of this year. That’s about it though. But sometimes, things like this are done for a reason. Maybe a change of scenery will do wonders for him, and finding a team who might need a power fourth outfielder or D H might be his calling in baseball. When the Los Angeles Dodger let closer Takashi Saito go last night, there was a sigh of relief around baseball. Here is a bona fide closer who might not cost and arm or a leg, who can effectively close out a game without incident. Saito posted some dominant big league numbers for the Dodgers, but he’s a huge question mark after having platelet-rich plasma injected into his elbow in an experimental procedure. Sounds like something out of a sci-fi movie, but without all the Godzilla and Mothra figures. I think we all know where former Washington Nationals pitcher Tim Redding will be throwing in 2009. Now that he is free and clear, the Colorado rockies will be knocking on his door and frantically calling his agent to get him signed quickly to the Rockies starting rotation. In the high alititude of Denver, he might be good for a sub 5.00 ERA as a back of the rotation starter. Tim, I hear the Rockie Mountain oysters are great at the Buckhorn. 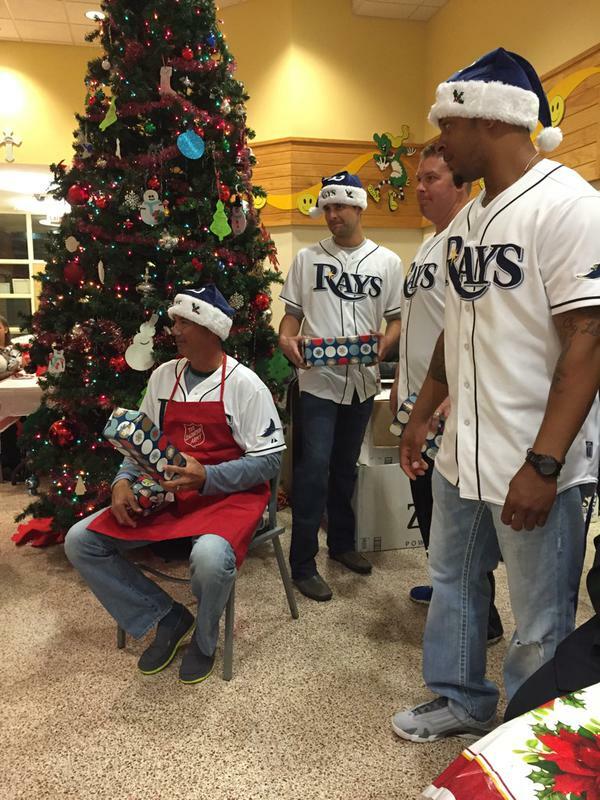 What did not surprise anyone in baseball is the non tendering of former Milwaukee Brewers starter, Chris Capuano. Because of his last 2 injuries there might be a small question of the ability for him to throw effectively in 2009. Considering the Brewers are in need of a extra pitcher now, you might see him resigned to a lower deal with a few health incentives thrown in for good measures. 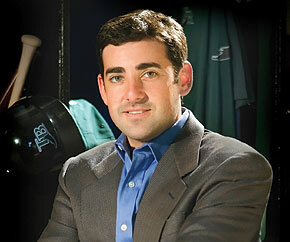 People seem to forget that Capuano has his second Tommy John surgery in May 2008. But his past exploits from 2005-2006 might get him a Spring Training invite and a possible rotation spot out it all if he is shown to be healthy and productive for the team. 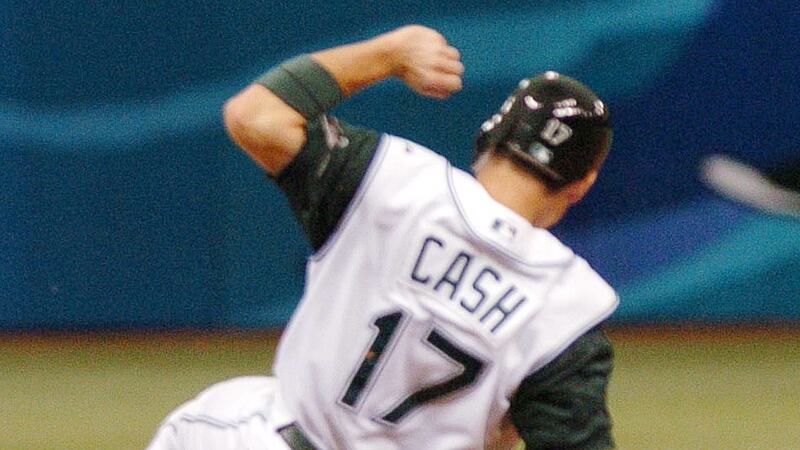 But then you have players like former Red Sox catcher Kevin Cash, who was Tim Wakefield’s personal catcher in 2008. You have to think that the Red Sox are using thisa to get a reduced salary for the part-time catcher. But can catching Wakefield and watching your errors and passed ball totals skyrocket into space be worht the reduced cash flow. But then you have guys like Aaron Miles of the St. Louis Cardinals, who was also non-tendered in 2007 before signing again for 2008 at a reduced salary. Could the team be again trying to use this as a measure to instill costs with a player who has come back one after being slapped in the face by his team. Hopefully someone like the Cincinnati Reds might find him a better liking to their team and he move on over without giving the Cardinals the satisfaction of another stay on their roster. In all, Major League Baseball saw about 36 players who recieve non tendered offers last night. Some of these players will resign for a small contract or even a minor league deal with some organization, while other are currently seeking and wanting another chance at starting and helping a team to the next level. 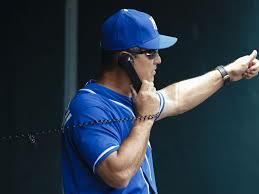 But for people like former Royals infielder, Jason Smith, the non-tendering was not as bad as the designated for assignment he recieved earlier in the day from the team to make a roster spot for newly signed relief pitcher Horacio Ramirez before the non-tender deadline. After all the Post season celebration have muffled to a silent roar, we embark on a journey that no player wants to roam. That journey down the road of arbitration. Where the road is lined with pitfalls and traps, one of tendering offers or letting the players kneel by the wayside to gather themselves after being cast off by their clubs. It is a time to reflect and expose the best and worst of this time of year for baseball. It becomes the time when you really know what your team GM and your coaching staff think of you as a productive member of their franchise. And the journey starts now………………. On this date, Friday, December 12th, every team in the major leagues must decide to either tender contracts to their arbitration-eligible players, or set them free as more glut in the 2009 free agent market. And while in past years the non-tendered players weren’t considered to be difference-makers, the list could be more interesting this year. There are several players on this list who either had bad situation on their teams or might have been fighting back from injuries in 2008. Players who are “tendered” on Friday are considered signed for 2009 at a salary to be determined, not less than 80 percent of his salary the previous season, and both sides continue negotiating. If a deal cannot be struck, the team and the player will each file a proposed 2009 salary in early January. 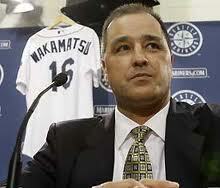 Those figures are exchanged on Jan. 19, and a date for a salary arbitration hearing is then set for Feb. 1-21. If the sides still cannot come to terms before the date of the hearing, a representative for the team and one for the player present a case before a panel of arbiters, which chooses one salary or the other. On the other hand, if a player is not tendered a contract before Friday’s deadline, he becomes a free agent. A nationwide economic downturn has affected how Major League Baseball teams are conducting business, and in an effort to cut corners, the number of non-tendered players could increase, based solely on the market’s projected rise in their salaries based on arbitration data and past results.. The same can be said for the quality of those players. Some of the guys being considered for non-tender have been great contributors to their teams in the past, but not during the 2008 season. Past players non-tendered include David Ortiz, Rick Ankiel, Ryan Franklin, David Eckstein, and Chad Durbin. Usually at least a few useful guys are unearthed. I am going to submit a few names that are being considered to be non-tendered starting at midnight tonight. Some of these names might sign free agent contracts with their old teams, but usually if a player is released from that team, they tend to float to another organization instead of resign with their old clubs. 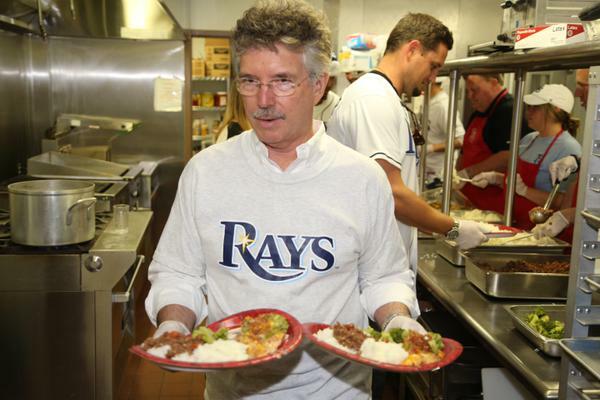 Coming into the deadline are a few names that might mean somehting to several Tampa Bay Rays fans. A few names from the past are being considered to be non-tendered tonight. One of them is currently on the Rays roster and might have been pre-destined for this list during the season with the acquiring of Gabe Gross during the season. Designated Hitter/ Right-fielder Jonny Gomes has been the emotional sparkplug of this Rays young team for several seasons. But in 2008, after some spotty play in the outfield, both in left-field and right-field. Posting a ugly .167 batting average during the season might not bode well for Gomes to even be considered a contract in 2009. But one of the great facts of arbitration is that Gomes made $ 1.25 million in 2008, and the arbitration might not even give him a substancial increase. He might skate by and be offered a contract based on his loyalty and the teams’ need for at least some kind of right-handed bat in the rightfield corner. Situations could change in the next few months, but the Rays could “rent” Gomes for now and get a trade return on him later in the Spring if needed. 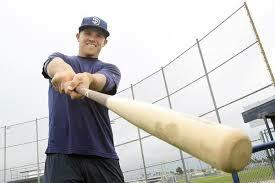 The Rays have other players who will be on the bubble on Friday, like right-fielder and left-handed bat, Gabe Gross. He might be the best cltch hitter the Rays had in 2008, but he also might be caught in the numbers games as the team just traded for the young and undercontract for 6 more years Matt Joyce. 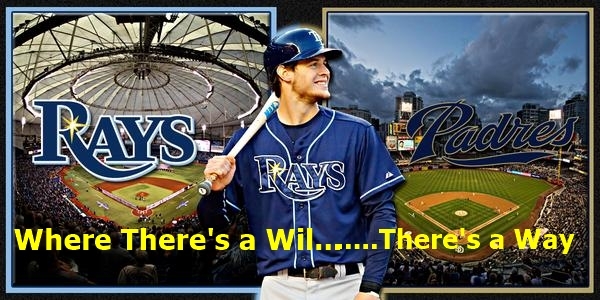 Both players have a defensive pedigree, and it all might come down to if the Rays think that Gross will win the spot and be worh the money to keep, or set Joyce up in right and let Gross go, hoping he remains to be put under a free agent contract at a reduced price. 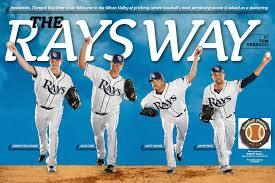 This might be the tricky one for the Rays. Gross did everything asked of him in 2008. 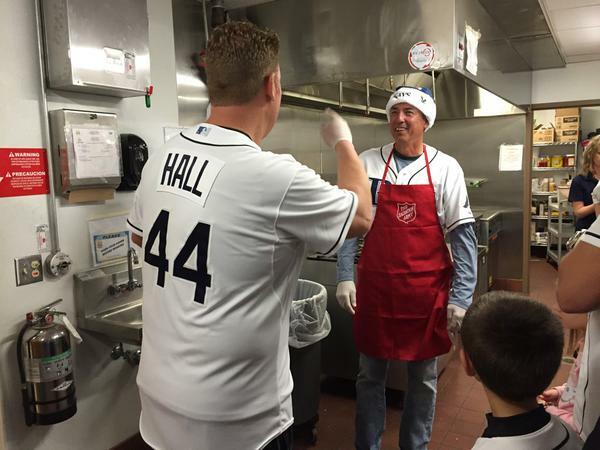 He also is a great clubhouse guy who is never in trouble and always helping the younger outfielders. His ceiling might be higher than Joyces’ right now after a banner year where he set career numbers in almost every offensive category. 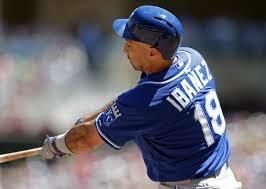 It was a year where he was used more, and saw more plate appearances than any other time in his career. 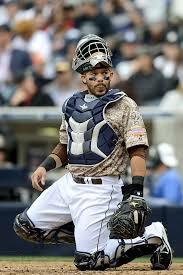 Gross might join Gomes on the free agent market where there is a glut right now for corner outfielders. If not for that trade during the Winter Meetings, Gross would have been offered a contract without question. 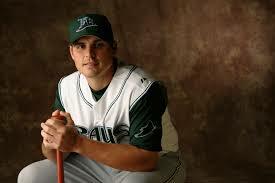 An ex-Rays who might be getting considerable consideration from his current team is the Houston Astro’s Brandon Backe. However, with the current state of the Astros’ rotation — they have little Major League-ready depth in their farm system and few backup options to protect themselves from injury and inconsistency — they may decide to hold on to the right-hander. And with a salary of only $ 800,000 for 2008, he might come in at a considerable discount compared to the free agents on the current starting pitching market. 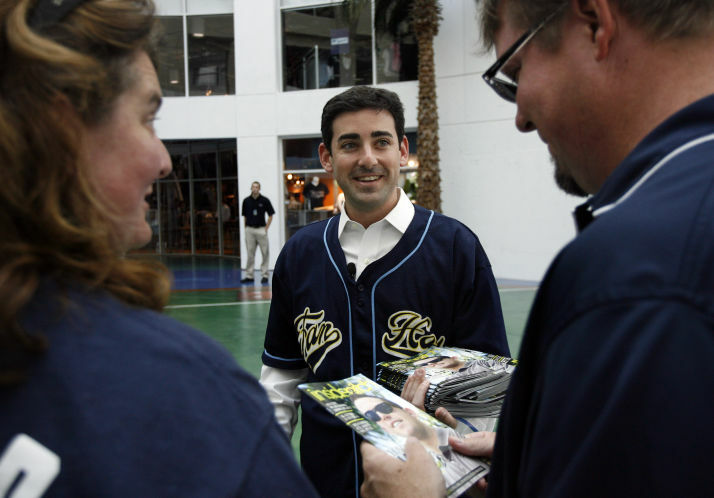 Astros General Manager Ed Wade sounded like he’s willing to give Backe another look but at the same time noted the right-hander’s 2008 season was a disappointment and he’ll have to prove a few things in 2009. But the Astros have very little pitching depth, and the three top prospects — Brad James, Sergio Perez and Bud Norris — likely won’t be ready for the big leagues come Opening Day. That alone may ensure Backe is tendered a contract on Friday. 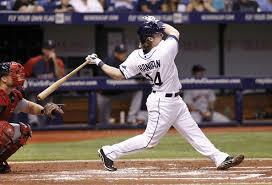 Another ex-Rays who has had to basically live out of his suitcase this past season is reliever Chad Gaudin. Two years ago it seemed that the Toronto Blue Jays were serious about the young pitcher and staked him a claim in their Bullpen. But during the off-season he was traded to the Oakland A’s where he started and relieved for the Athletics. 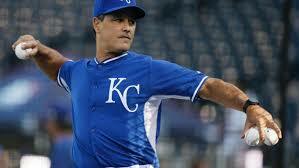 He was then sent packing to the Chicago Cubs in the deal for Rick Harden as a key plug for the Cub’s Bullpen problems. Since arriving in Chicago, Gaudin went 4-2, with a 4.26 ERA and got 27 strikeouts in 27.1 innings of work in 2008 for the Cubbies. Gaudin is known for his slider and his sinker, which both have above average movement to both sides of the plate. Also in his arsenal is a sinking change-up that can come in on left-handers. Gaudin might be a casualty of expectations in 2009, and might be non-tendered as rendered a free agent by the Cubs. Another possible casulty to the non-tender pile might be a National League pitcher who has been fighting to get into game shape for over a year after having 2 injuries in the past 2 seasons. 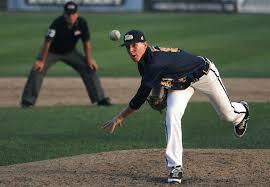 Milwaukee Brewers’ starter Chris Capuano came to the team with high expectations. 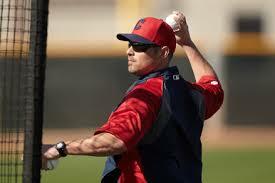 He was considered one of the top 5 pitchers in 2007 before a labrum injury forced him to have surgery on 10/11/2008. 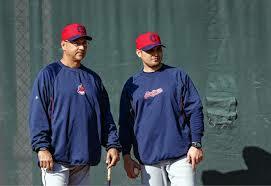 Capuano rehabbed and was struggling to get into game shape when another injury hit him during 2008 Spring Training. 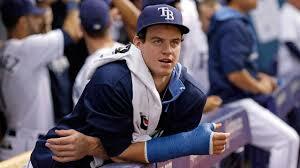 This time a torn ligament in his left pitching elbow basically shelved him for the entire 2008 season. He was retroactively posted to the 15-day DL on March 27th. 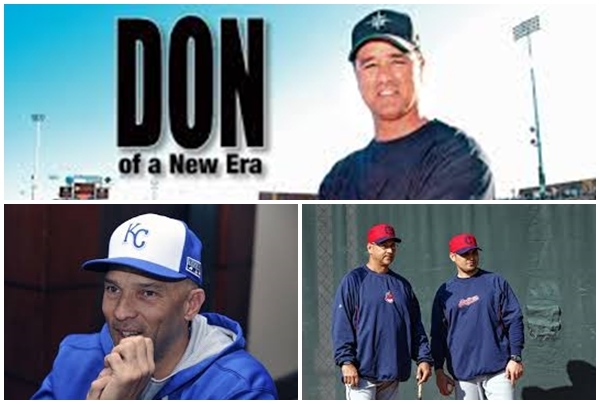 He was twice transferred on the DL lists in 2008, going from the 15-day disabled list again on September 1st, then subsequently put back on the 60-day DL on October 31, 2008. 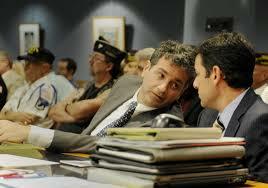 Capuano’s case is complicated because he earned $3.75 million last season but did not pitch because of the injury. If the Brewers tender him a contract, they could not cut his salary by more than 20 percent, and it seems unlikely they would commit such an expense to a pitcher still rehabilitating. If the Brewers in fact decide to non-tender Capuano, they would try to re-sign him to a new, less expensive contract for 2009. He’s eligible for free agency after next season. There are other “big names” being considered during the non-tender phase of arbitration. A few might have seemed like promising rising stars in the MLB a few years ago, but might have had tough times and might be in consideration for being released by their clubs. One of the most visible name on this list might be former 2003 Rookie of the Year winner Angel Berroa of the Los Angeles Dodgers. 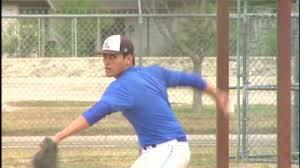 Another name sure to be heard on Friday will be Baltimore Orioles’ pitcher Daniel Cabrera. The club has to decide whether to offer a contract to Cabrera. If Baltimore doesn’t, the hulking right-hander will become a free agent one year ahead of schedule. If the O’s do, they may wind up going to arbitration. Andy MacPhail, Baltimore’s president of baseball operations, said Thursday that he’s still trying to make a decision. Cabrera, although erratic, remains one of the most experienced starters in the Orioles’ organization . Baltimore has just one starter penciled into next year’s rotation and is trying to add at least two veterans by trade or free agency this offseason. Jeremy Guthrie remains the only surefire member of the starting staff, and Baltimore must decide whether Cabrera is a replaceable asset or one that’s worth one last shot at trying to salvage his potential. Cabrera has made at least 26 starts in each of the past five seasons, and he’s logged at least 140 innings in each of those campaigns. The 27-year-old started relatively strong in 2008, jumping out of the gates to a 6-5 record and a 4.33 ERA in the first half of the season. After the All-Star break, however, he was 2-5 with a 7.59 mark. And still, the overall numbers represented an improvement on his previous season. Cabrera went 8-10 with a 5.25 ERA in 2008 and snapped a two-year streak of leading the league in walks. One year earlier, he went 9-18 with a 5.55 ERA. I think the Birds will take a gamble on Cabrera for one more years and help place at least one more piece into the pitching puzzle for 2009. But I do think he will have a short leash in 2009 with the Orioles, and might be a trade deadline casualty if he is again wild and uncontrolable next year. Pittsburgh management has still not made a determination to whether or not they plan to offer a contract to right-handed reliever Denny Bautista before the midnight on Friday for teams to tender contracts to all arbitration-eligible players. 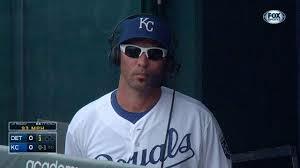 Bautista is the only one of the team’s eight arbitration-eligible players whose status is in question. The Pirates’ management team has had internal debates this week about whether or not to keep Bautista, though no resolution has yet been made. The Pirates acquired Bautista late last June in a minor trade with the Tigers, and the control problems that Bautista had in Detroit and other previous stops resurfaced again with the Pirates. 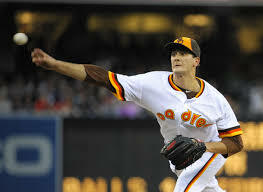 He allowed 28 earned runs and 28 walks in 41 1/3 innings of relief for Pittsburgh. He struck out 34. Bautista earned $395,000 in 2008, just over the Major League minimum. 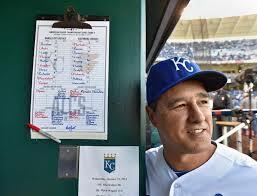 He would be in line for a significant pay raise should he go through the arbitration process with the Pirates. The Pirates will tender contracts to their seven arbitration-eligible players — Ryan Doumit, Zach Duke, John Grabow, Adam LaRoche, Paul Maholm, Nate McLouth and Tyler Yates. Of that group, Doumit, Duke, Maholm and McLouth are all arbitration eligible for the first time. The Red Sox must tender 2009 contracts to all unsigned players on their 40-man roster by Friday at midnight ET. The only players this truly impacts are those eligible for arbitration. For the Red Sox, that list includes first baseman Kevin Youkilis, closer Jonathan Papelbon, backup catcher Kevin Cash and lefty specialist Javier Lopez. Reliever Manny Delcarmen was seven days short of enough service time to qualify for arbitration, so the Red Sox can simply renew his contract in Spring Training. 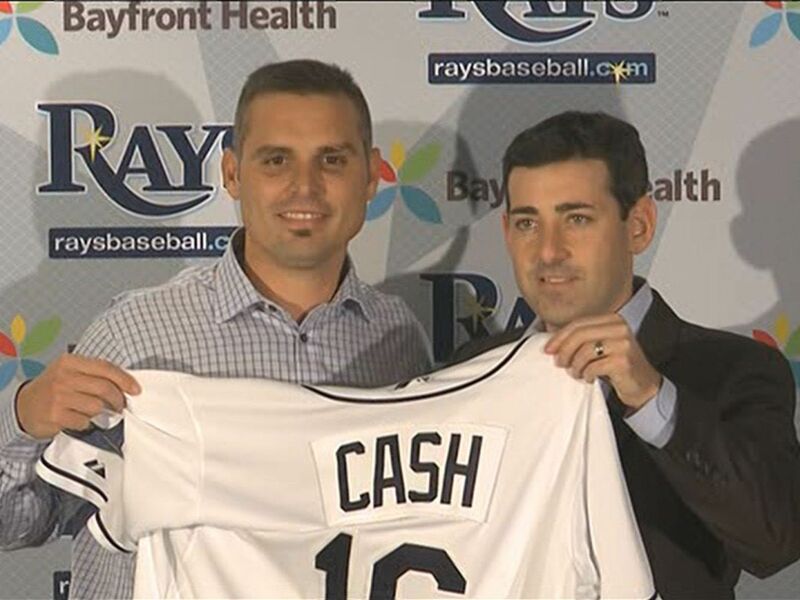 Cash is the most likely candidate to be non-tendered on Friday. The Red Sox’s catching situation is in a state of flux, as the team continues to negotiate with Jason Varitek and scour the market for trade possibilities. Even if Varitek returns, the club might seek a young player with more offensive potential than Cash to be the backup. The Red Sox like Cash defensively, and he does a nice job of handling Tim Wakefield’s knuckleball. However, there’s a chance he simply doesn’t fit into the plans for 2009. Even if the Red Sox non-tender Cash, they are still free to negotiate with him or re-sign him at some point. The same goes for any non-tendered player. The Royals need to find some room on their 40-man roster and that could be accomplished on Friday, the deadline for clubs to offer contracts to players. When the Winter Meetings closed, the Royals had 39 players on the winter roster but had signed pitchers Doug Waechter and Horacio Ramirez. They’d also reached an agreement with pitcher Kyle Farnsworth, and when that contract is approved another body will be added. Adding Waechter filled the roster and, by Friday, a spot will be needed for Ramirez. The Royals could designate a player for assignment or non-tender a player, in short, not offer him a contract. The only way a club can keep an unsigned player is to tender a contract. If a player is non-tendered, he goes off the roster and becomes a free agent. Then he can sign with any club, including the Royals. 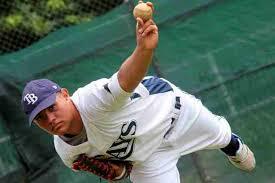 One possible option for the Royals would be to non-tender pitcher Jairo Cuevas and sign him to a Minor League contract. Cuevas has been the subject of a tug-of-war between the Royals and the Braves, each team claiming him on waivers from each other in the last two months. 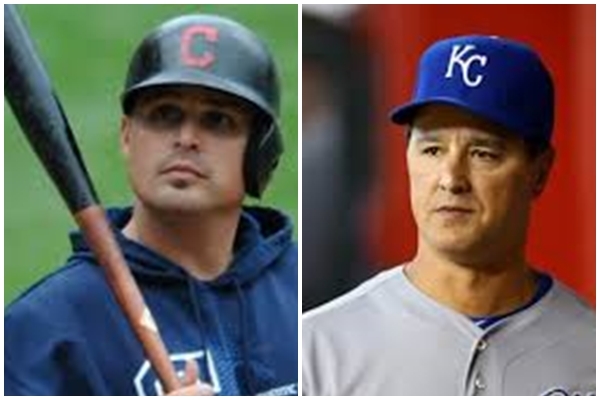 One writer speculated that, in order to save money in an effort to sign shortstop Rafael Furcal, the Royals might non-tender such players as catcher John Buck and outfielder Mark Teahen who both figure to do well in salary arbitration.